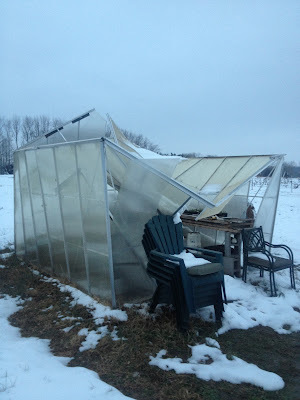 A few weeks ago I was cleaning out my itty bitty greenhouse which tends to become the catch-all junk room over the summer for everything that can't seem to make it all the way from the field to the barn or the shed. I took a few pictures that day with the intention of writing yet another post regarding my observation that this greenhouse is also a favorite nesting ground for a large black widow population. 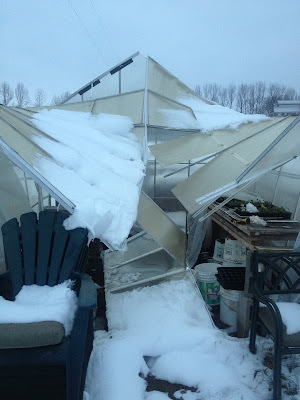 Putting off this post though has made my point moot because this is what ten inches of snow did to my greenhouse while we were gone to Iowa for Christmas. Toward the middle of November we pulled the last green tomatoes off the last tomato plants left in the garden. These heirloom Cherokee purples are finally ripening up and taste surprisingly fantastic. With only a handful left, I'm sad to see them go. Next June seems forever away to wait for a fresh tomato. I think it makes them taste even better though. And then the concrete truck arrived. It was time for the guys to get to work. Last Wednesday evening Robert and Milan and I put the final loads of limestone screenings in the barn in preparation for concrete on Thursday morning. Bruce and his crew arrived early Thursday morning and finished the prep and then we all waited for the concrete truck. Bruce doesn't sit and do nothing very well but he does enjoy playing with toddlers. And much like a toddler, Bruce is innately drawn to playing in a dirt pile, even when it's too small to use any equipment in. So while we waited, Bruce and Milan built roads. Milan is into being independent right now yet still too small to do certain things independently (like open the gate to the chicken yard). He had adapted by getting himself a bucket of sunflower seeds and feeding his chickens through the fence. Or by making the chickens reach through the fence to get the seeds that drop from his bucket as he points out seeds already on the ground. I should have been posting about this project for the last few weeks because now I'm so far behind on it I feel a little overwhelmed by it. On a trip to Iowa a couple of months ago we decided to prioritize the farm needs for the next few years and the two projects at the top of the list were deer fence and cold storage. After brainstorming the pros and cons of different cold storage options we decided to build a walk-in cooler that will be made cold using a CoolBot system. For people who haven't been to our place, we live in a barn. A large green metal building that we built about eight years ago. We live upstairs and most of our four-legged family lives downstairs. Over the course of eight years though our living needs have changed. This summer one of our old horses passed which left us with two extra horse stalls downstairs that were doing nothing but accumulating stuff. So a few weeks ago Robert decided to tear out those stalls in preparation for our walk-in cooler and more useful storage options. I wish I had taken a picture before he started but by the time I got my camera out he had two walls torn down and things were underway. Originally we thought we might work on both stalls separately to avoid having to move so much stuff around since one stall was full of our horse hay for the winter. So we went ahead and had a truckload of limestone screenings brought in to raise the floor about a foot in preparation for concrete. (This would now be known as Milan's Big Dirt Pile). When Bruce came out to talk about pouring concrete though it soon became clear that the project would cost much less if we went ahead and filled in both stalls at once. So out came the hay. And since the other two horse stalls were where we put the "stuff" from the now empty stall, the hay ended up stacked everywhere. With more stuff stacked on the hay. The combination of hay and the lumber (from the stall walls) stacked everywhere made it a little tight to use the tractor to haul screenings in from the Big Dirt Pile but we got it done. Pictures of more progress tomorrow! 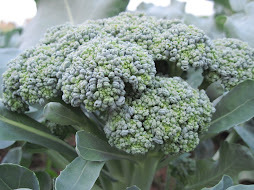 A little bit of rain earlier this week made our broccoli heads pop! This morning Milan and I harvested a big load of broccoli and a big load of kale to take to the Hillcrest market tomorrow morning. With the girls starting to lay a little heavier in the last week we also have a fair amount of fresh eggs heading to the market. 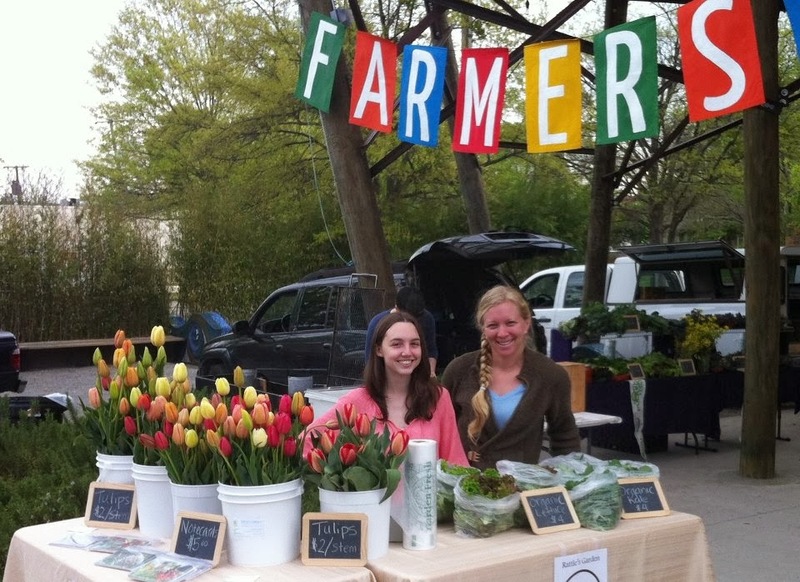 Hoping for another great turnout tomorrow morning before the temperature drops on us next week! Last week we spent an afternoon working up a bed that used to have blueberry bushes in it to get it ready for flowers. Several years ago we planted a row of blueberry bushes on the north side of our dog pen and they just never grew very well compared to the bushes we planted on the south end of the dog pen. 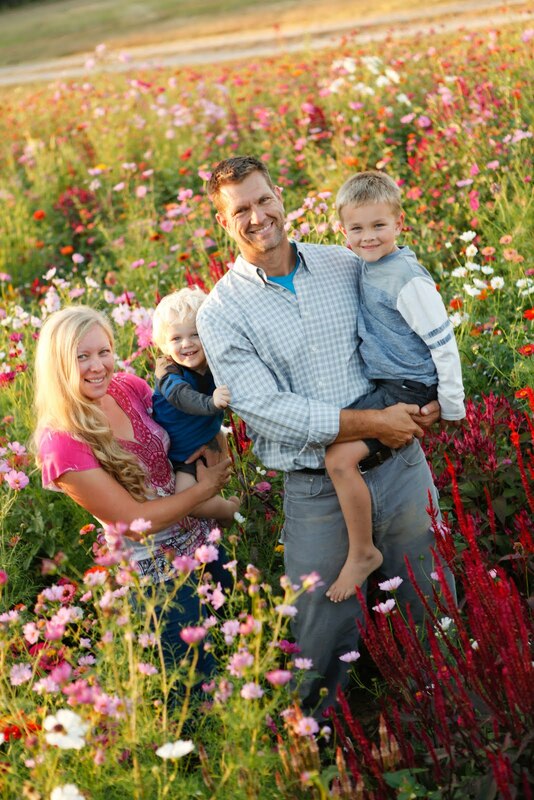 The biggest difference in their growing conditions was definitely the amount of sunshine each row received. Two years ago we started another row of blueberries in full sunlight north of our blackberries. Last spring we decided to extend that row by transplanting the older bushes that we didn't feel were getting enough sunlight. This left an open space that looked perfect for a flower bed. 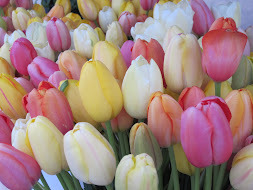 And it just so happened that I had bags of flower bulbs to fill it. The remainder of Robert's impulsive splurge at a big box store a few weeks ago, I now have a huge bed of daffodils and dutch irises. Now the hard part....waiting. The holiday season has definitely taken it's toll on my blogging and I have pictures and posts backed up from as far back as October. So tonight's post is going to be short as I wade through photos to help me tell a few stories. I've been enamored with pretty eggs for a few years now and despite the fact that thousands of eggs have passed through my hands, I still love a pretty egg. This egg I found last week was one of the most unusual I've seen.